A wood floor with fire in the middle, made in the site of the artistic association Jardin d’Alice in Paris. 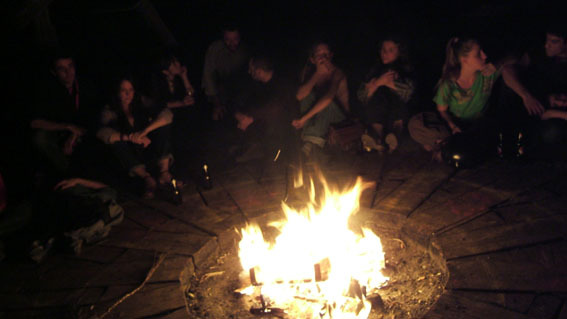 During public events, everybody can gather around the fire. 900x900x20cm bois de récupération (bastaings et chevrons), patine glycero. Funny how small plants manage to grow between the boards! In the center, a thick wood lid covers the hearth when there’s no fire.